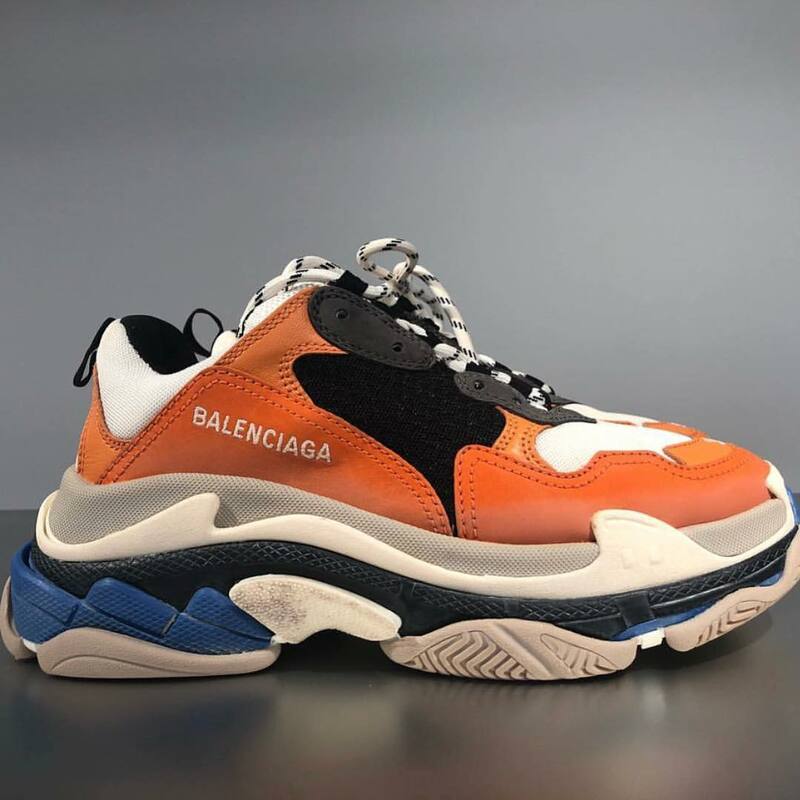 Pumpkin season has officially arrived, and we couldn’t think of a better way to celebrate than by copping Balenciaga’s latest Triple S colourway. This women’s exclusive rendition of the Spanish fashion house’s notorious chunky sneaker pays tribute to all things Autumn. Decorated in orange, cream, black, and blue hues, this luxurious design appears to be inspired by spooky jack-o’-lanterns. The Triple S has stolen the show this season with Demna Gvasalia’s oversized proportions and multi-layered midsole. Whether you think that this statement shoe is a trick or a treat, it’s sure to tick every trend-focussed box. Rock this colourway with your favourite trench coat and get ready to embrace Autumn/Winter fashion! Balenciaga’s ‘Halloween’ Triple S is available now from Farfetch. Check out our dedicated Balenciaga brand page for all of the latest designs and news from the sought after label.